"Ian's service was recommended via the government's Home Sustainability Assessment Process. His attention to detail gave the best outcome for our needs and situation (e.g. laundry access across the lawn in the garage). Extra guttering and downpipe repairs were included, which were sorely needed. Everything works well and the Hunter Water Inspector said all the work done by Ian (and his team) was beyond reproach." "We have been using I Am Eco Plumbing for a number of years for all our plumbing repairs and installations around our 120 year old home and at our business. I Am Eco Plumbing always turn up promptly, and are prepared for the job at hand and always clean up after the work is done. 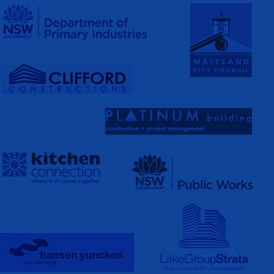 We highly recommend this firm for all your plumbing needs." "We would like to say how extremely pleased we are with IAMECO's advice and installation of our Apricus Solar Hot Water System. They exceeded our expectations in their excellent workmanship and professionalism. The workmen were punctual and neat and tidy in their work and we now find that we hardly ever have to use the booster to heat our water which is a financial plus. We would not hesitate to recommend IAMECO to anyone wishing to have their plumbing work done." Dear Ian and Larissa, Thanks so much for fitting us in. Beautiful job done today. He had to be a bit inventive to solve a problem where the bin wasn't going to fit because of the sink waste and came up with a very neat solution. Couldn't be happier. Thanks again!! I am more than happy to recommend IAMECO to others. I have a number of rental properties as well as my own residence and found IAMECO to quickly attend to any urgent matters in a personal and professional manner. I have also sought IAMECO's advice on the latest in Solar Hot Water systems and each of my investment properties now enjoy the benefits of these systems. 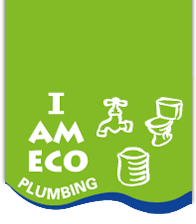 I would recommend the work of I Am Eco Plumbing to anyone. Ian Menzies gave us some great advice. He turned up on time, was courteous throughout and cleaned up afterwards! He certainly knows what he's doing. In fact, I think hs ecological approach to plumbing could end up saving us money. Thanks Ian! I'm pleased to offer a testimonial for Ian from I Am Eco. It was winter, one morning we had no hot water (grounds for divorce in my house!). Ian came that day and found that scaffolding which had been set up for roof repairs had bumped the gas heater out of alignment. I was quick to curse...to which he responded 'Well, they've got a tough job. This is quite a tight space." Amazing! A tradesman who doesn't blame the other guy! Highly recommended. "We have no hesitation in recommending I Am Eco Plumbing. Ian and his team installed a 10,000 litre rainwater tank at our property in Medowie, including plumbing it in to the house to supply the toilets and laundry. It was all done within three days and we were extremely happy with the quality of their work, their professional approach to the job, and the time they took to ensure we were fully aware of what was going on and how the system worked. We have since employed I Am Eco again to give advice on solar hot water systems and to install an evacuated-tube system at his recommendation. This job was carried out with the same efficiency and professionalism as before, including coming back at our request after the work was finished to relocate some of the pipework in the roof space - no questions asked and no extra cost." Eco are recognized as an accredited Apricus installer. In our time working with I Am ECO we have been impressed by the quality of Ian's installations, his attention to detail, product knowledge and more importantly understanding of the workings of our system. Ian has established a reputation of providing sound advise to customers regarding the most ideal 'Apricus" solution for their particular needs. We have no hesitation in terms of recommending Ian or the services he provides. We would like to say how extremely pleased we were with IAMECO's advice and installation of our APRICUS Solar Hot Water system. They exceeded our expectations in their excellent workmanship and professionalism. The workmen were punctual and neat and tidy in their work and we now find that we hardly ever have to use the booster to heat our water which is a financial plus. We would not hesitate to recommend IAMECO to anyone wishing to have plumbing work done. Ian's service was recommended via the government's Home Sustainability Assessment process. His attention to detail gave the best outcome for our needs and situation (eg laundry access across the lawn in the garage). Extra guttering and downpipe repairs were included, which were sorely needed. Everything works well and the Hunter Water inspector said all work by Ian (and his team) is beyond reproach. We have been using I Am Eco Plumbing for a number of years for all of our plumbing repairs and installations around our 120 year old home and at our business. I Am Eco Plumbing always turn up promptly, are prepared for the job at hand and always clean up after the work is done. We highly recommend this firm for all your plumbing needs.